We now welcome two new Crawford Fund Board Members! In addition to the recent appointment of The Hon John Anderson AO as our new chair we are pleased to welcome Dr Richard Sheldrake and Mr Bob McMullan to the board, with Dr Sheldrake moving to the position of chair of the Fund’s NSW committee. 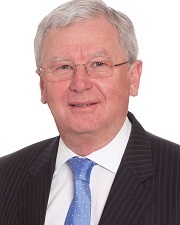 Dr Richard Sheldrake AM FTSE is currently Chair of the NSW Division of the Australian Academy of Technological Sciences and Engineering (ATSE), and now Chair of the Crawford Fund NSW State Committee. Dr Sheldrake has played a role in developing and guiding state and national policy in areas such as plant and animal biosecurity; agricultural research and development; drought policy; native forest management; native vegetation; fisheries resource management; agri-food policy: efficient water use; sustainable land use; export market development, and frontline farm services. Read more about Richard Sheldrake here. Mr Bob McMullan is a Visiting Fellow with the Crawford School of Public Policy at Australian National University in Canberra. This follows a distinguished career in the Australian Parliament as one of Australia’s pre-eminent Labor politicians. 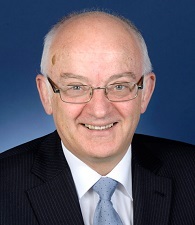 Mr McMullan has a special interest in the welfare of disabled persons in developing countries and initiated Australia’s first Disability and Development Strategy. You can read more about Bob McMullan here.